Awesome activities, fantastic new friendships and stunning alpine scenery, were highlights of the week as 108 scouts and adult leaders from the Houghton-Le-Spring District enjoyed an amazing Alpine Adventure in Morillon, France. The event brought together young people from across the scout district and challenged them to push their boundaries to overcome their fears, to work together to support each other and most importantly to have a great time. This year was the biggest event ever and the increase in participants reflects the growth in young people and adults enjoying scouting in Houghton-Le-Spring district. 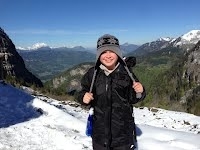 The 8 days abroad were certainly action packed and this year’s trip included many memorable moments. Young people stayed a night in a mountain refuge and after a tough climb through snow to the hut were able to take in some fantastic Alpine views, girls and boys supporting each other all the way. For many scouts, via Ferrata was one of the biggest challenges - traversing a cliff face hundreds of metres up is not for the faint hearted (even when you’re clipped on)! Another highlight was white water rafting, an exciting rush of adrenalin as scouts teamed up to paddle furiously down the raging rapids, avoiding the rocks. 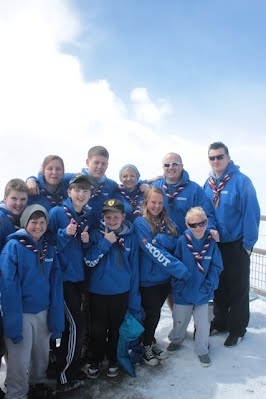 Scouts also enjoyed some Alpine views from the Aguille Du Midi, the cable car took us well above the clouds. The week for most scouts was a journey of self discovery as scouts learned how they contribute to the group, how they can support and inspire others and how they can meet their own personal potential. Many scouts signed up for the trip knowing only a few others from their own group, but by the end of the week, everyone left with new friends. The weeklong adventure wouldn’t have been possible without the support of a large team of adult volunteers who brought unrivalled enthusiasm and commitment to the event. The thorough planning ensured the success of the week. To find out how you can join our growing adult team, please visit. www.hls-scouts.org.uk/volunteer. Houghton-Le-Spring District is one of the largest districts in Durham Scout County. The district has recently opened a new group to cope with the growing demand for scouting in the area and now supports 7 groups to offer adventure and challenge to over 750 young people aged 6 to 18. For more information about Scouting in Washington and Houghton-Le-Spring, please visit www.hls-scouts.org.uk or call 0845 300 1818.